Is the Lone Star pattern on your list of things to learn? Here is your chance to experience a foolproof and accurate Lone Star. Quiltsmart has an engineered, preprinted product that makes piecing effortless and precise at the same time. 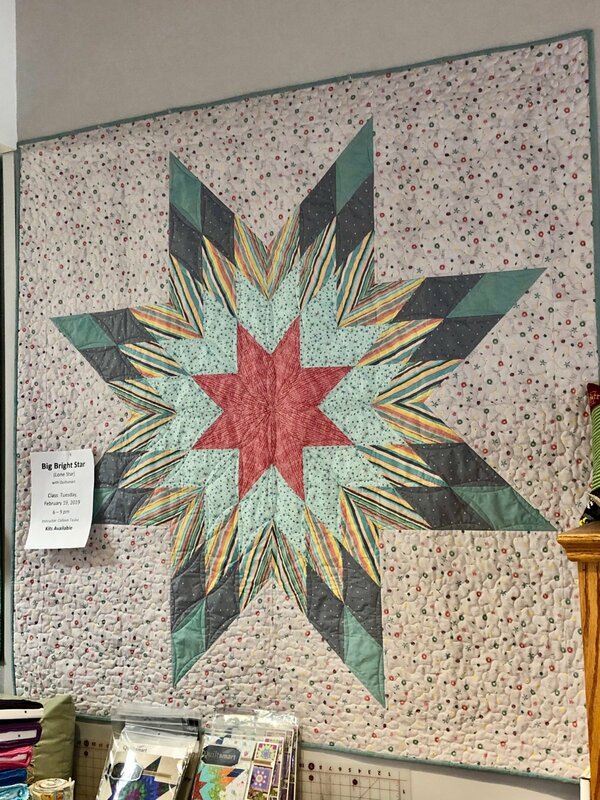 Join us to learn the techniques for success while creating the Big Bight Star/Lone Star quilt. The quilt finished 58 x 58 but has directions to make it a twin or queen size if desired.